GENEVA, February 22 (UNHCR) – The UN refugee agency said in Geneva on Tuesday it has become “increasingly concerned” about the dangers for civilians inadvertently caught up in the mounting violence in Libya, especially asylum-seekers and refugees. “We have no access at this time to the refugee community. Over the past months we have been trying to regularize our presence in Libya, and this has constrained our work,” Melissa Fleming, UNHCR’s chief spokesperson, told journalists in Geneva. She added that some of the reports that UNHCR has been receiving from third-party sources were very worrying. “A journalist has passed information to us from Somalis in Tripoli who say they are being hunted on suspicion of being mercenaries. He says they feel trapped and are frightened to go out, even though there is little or no food at home,” Fleming said. Scores of people are believed to have been killed in Libya since the government cracked down on protests that erupted against the government last week. 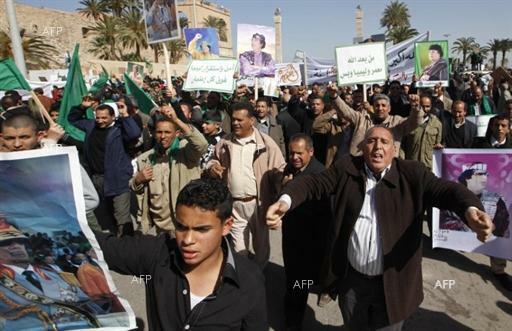 Fighting has been continuing in the capital, Tripoli, and elsewhere. Prior to the current unrest UNHCR had registered more than 8,000 refugees in Libya, with a further 3,000 asylum-seekers having pending cases. The main places of origin are Chad, Eritrea, Iraq, Palestine, Somalia and Sudan. “We are calling on all neighbouring countries to welcome those arrivals from Libya who may be fleeing targeted violence and fearing for their lives,” UNHCR’s Fleming said. Previous PostLinkin Park Live From Madison Square Garden OnlineNext PostVote for Best Linkin Park Video of all time!